Used by millions of developers. The Visual Basic Upgrade Companion (VBUC) converts your VB6 code to C# and VB.NET. Endorsed by Microsoft, VBUC generates 100% native code without third party runtimes and dependencies. Accelerate the code conversion process. 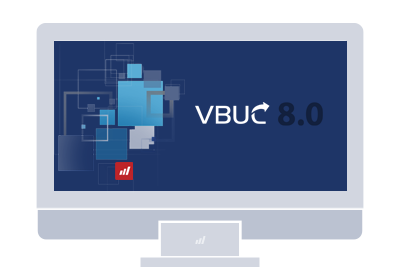 VBUC reduces the amount of manual coding and generates a native .NET application that is equivalent to the original VB6 system. Mobilize.Net has technology, support and services to help you rapidly migrate your VB6 code to .NET. The Visual Basic Modernization Accelerator Program converts 95% of your code -- combined with Mobilize.Net migration experts you are guaranteed a successful migration. Mobilize.Net offers the Migration Blueprint program where we develop a custom migration plan specifically tuned to your applications, systems and infrastructure.